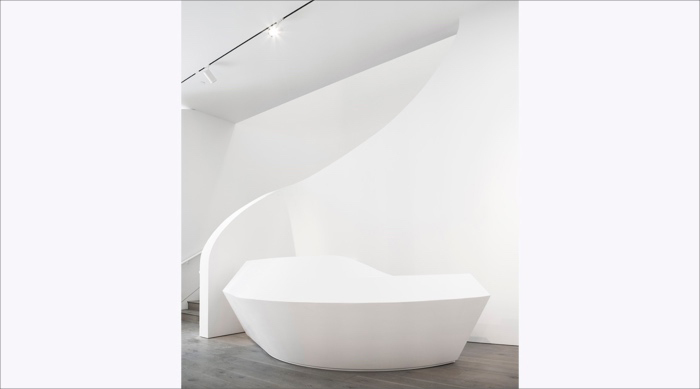 A British-Inspired Space for the World’s Leading Art Business. 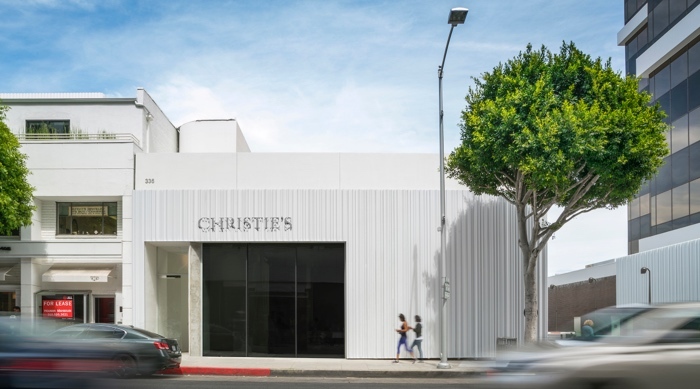 Located in Beverly Hills, near the highly trafficked Wilshire Boulevard and two doors down from the iconic Mr Chow restaurant, wHY‘s design sets a new definition for Christie’s amongst its new neighbors and clientele. 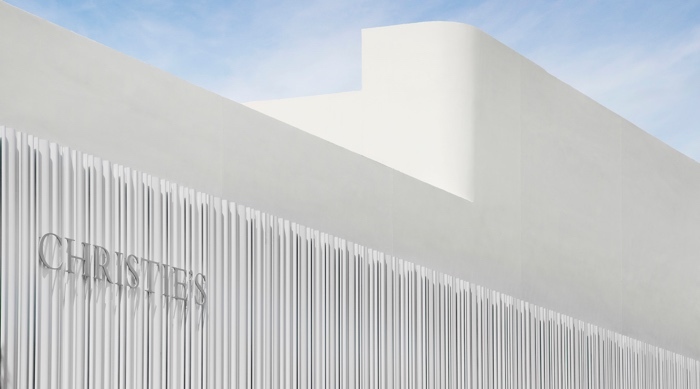 The 5,300 square foot, two-story street-level design for wraps the space in an undulating curtain of pearlescent white aluminum, creating an elegant and timeless exterior that speaks to the history and quality of the company’s 250-year old brand. The interior is unique, inspired by grand, well-proportioned spaces typical in Europe yet customized for Christie’s needs. 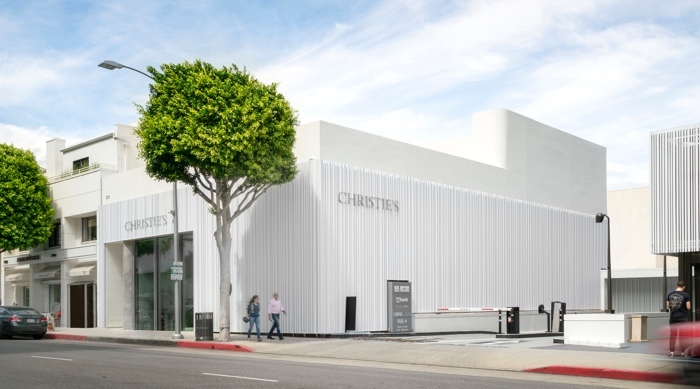 Flexible programming was key for the flow as the auction house’s holdings are diverse, ranging from painting, sculpture and prints to wine jewelry and objects. The semi-public ground floor is a welcoming, warm and inviting atmosphere with a wood oak floor and custom wHY-designed reception desk. The private upstairs evokes a comfortable and exclusive lounge setting. Wall-to-wall carpeting gives visitors the feeling of comfort and wHY-designed seating bedecks the lounge and meeting spaces with custom furnishings. A large rooftop courtyard and green space provides a multi-functional outdoor space for hosting events, parties and performances. The use of drought-tolerant shurbs provides privacy and connects visitors to nature.